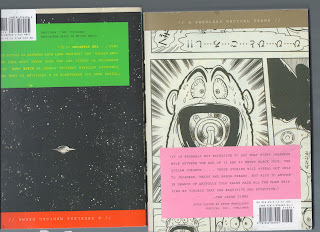 This is a bit of an "out of the box" topic, but I wanted to share two of my favorite artists/designers, Peter Mendelsund, a graphic designer known for his book covers (If you've heard of Vertical inc., he took the place of Chipp Kidd as essentially their in-house designers), and Osamu Tezuka, a comic/cartooning master from japan (Astro Boy, Black Jack, etc). Vertical is a NYC based publishing firm who have been publishing various "alternative" and "old school" manga in the past several years. 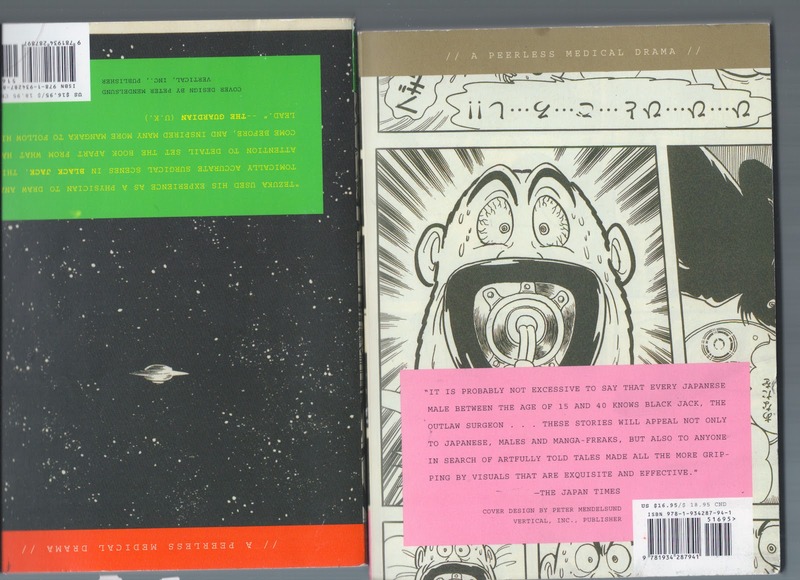 Pairing classic 60's-70's manga like Osamu Tezuka's work with such radical modern design sense as Chipp Kidd and Peter Mendelsund leads to some really amazing must-have books. 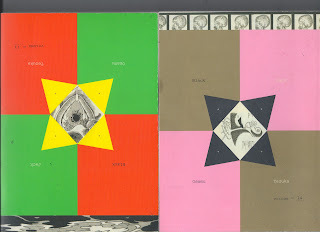 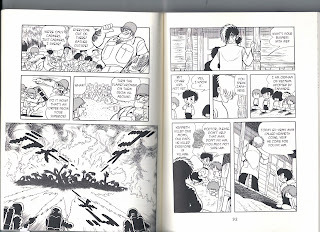 On hand, I have two of Osamu Tezuka's Black Jack comics to share, and then I've included some LQ images from the internet of some other work. 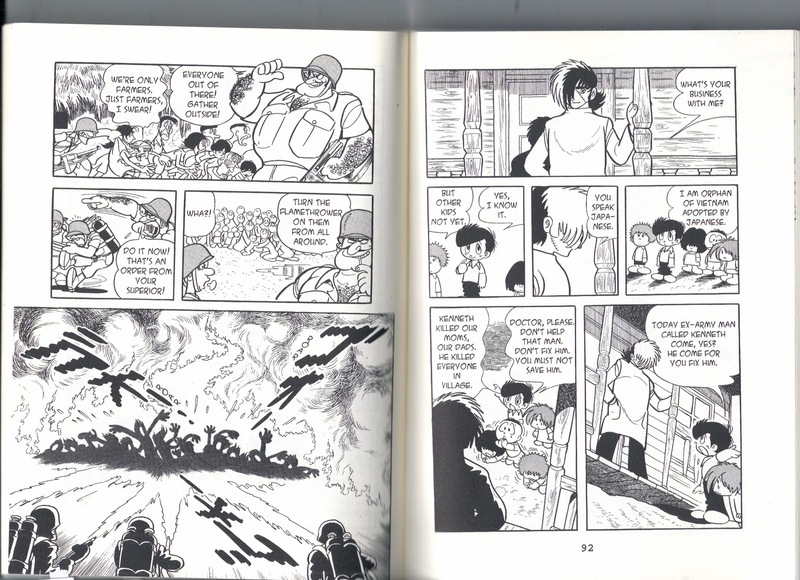 Osamu Tezuka is known for a lot of things ("the father of manga"), but he has a unique storytelling sensibility, character and narrative design, as well as a keen awareness of (sorry, unrelated to books) panel layout in his stories that make them very exciting, even after all these years.